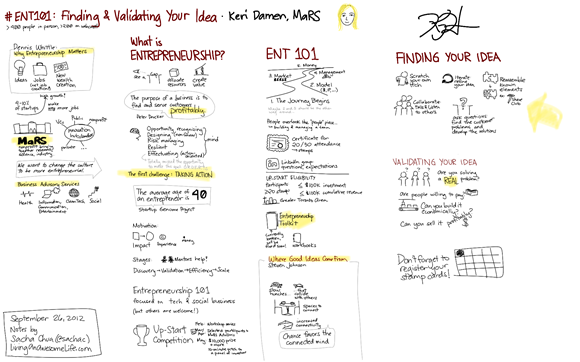 Click on the image for a larger version of sketchnotes from today’s talk on Finding and Validating Your Idea. This talk is part of the free MaRS Entrepreneurship 101 series. Feel free to share this! You can credit it as (c) 2012 Sacha Chua under the Creative Commons Attribution 2.5 Canada licence. Like this? Interested in business? You’ll probably also like my sketchnotes of The $100 Startup. 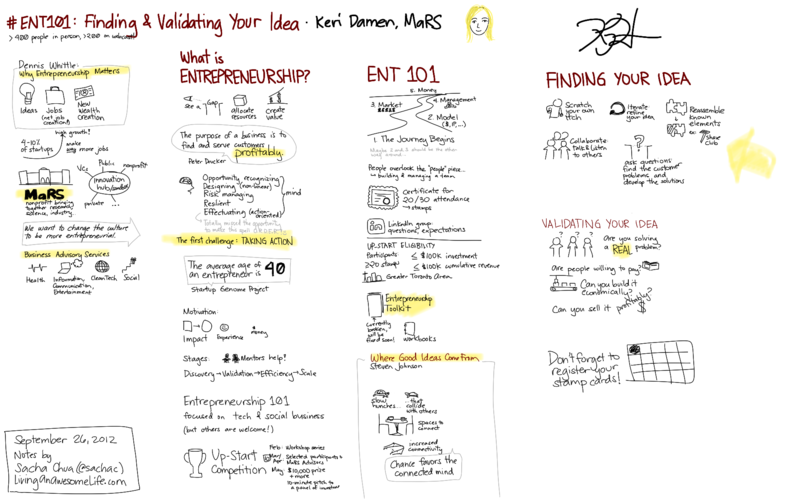 Check out these other sketchnotes, or search them in my public Evernote notebook. Enjoy!